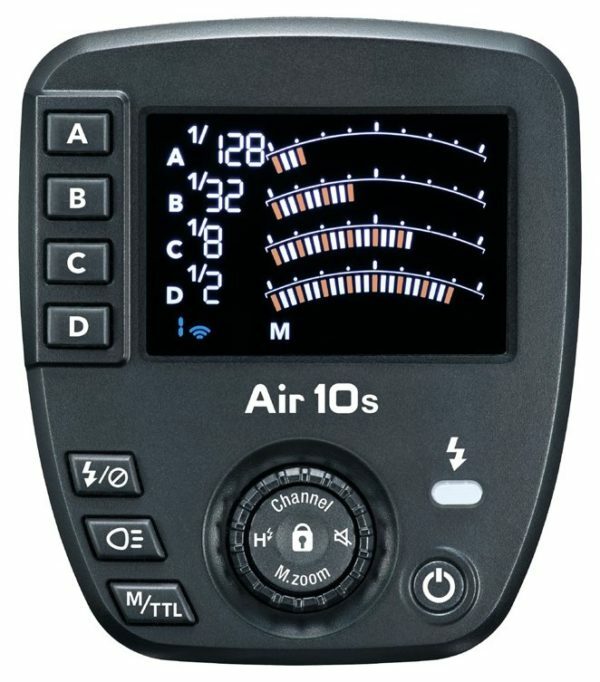 Nissin has announced the Air10s, a 2.4GHz wireless TTL commander unit for most major camera brands. It is a flash trigger and remote controller for the Nissin i60A and Di700A flashes and Air R receivers. 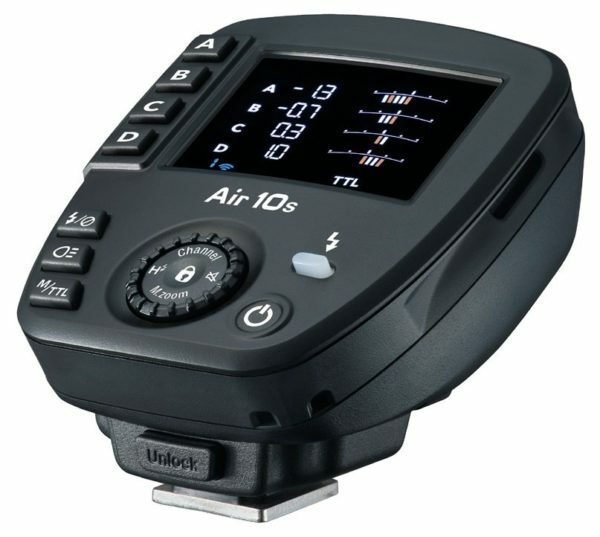 The Air10s mounts onto the hotshoe of a Fujifilm, Sony, Micro Four Thirds, Canon or Nikon camera and transmits signals via radio link to flashes and receivers compatible with the Nissin Air System (NAS). The operating range is up to 100 metres and up to eight wireless groups are supported. Cleverly, you don’t have to use the same brand of camera and flashes. You can use, for example, a Sony-fit Air10s commander with a Nikon-fit i60A flash and retain all functions, including TTL support. It is a more advanced version of the original Nissin Air 1 Commander, with an LCD rather than LED control panel with finer control over flash output. In manual mode, it is possible to reduce flash intensity to as little as 1/256 of full power (on the i60A flash). You can also use the trigger in TTL mode and with high-speed synchronisation at fast camera shutter speeds. One nifty feature is the “TTL Memory Function”, which remembers how much flash was used in the last TTL-metered shot and lets you switch to manual mode with equivalent power settings. This could be a handy way of finding the correct exposure more quickly without using a light meter. The Air10s controller has an autofocus-assist lamp on the front, specified to work at up to 5-metre range. The unit is powered by two AAA batteries. Firmware updates are supported via micro SD card slot. The Nissin Air10s is scheduled for release in April 2017. Visit the Nissin Digital web site for further information.